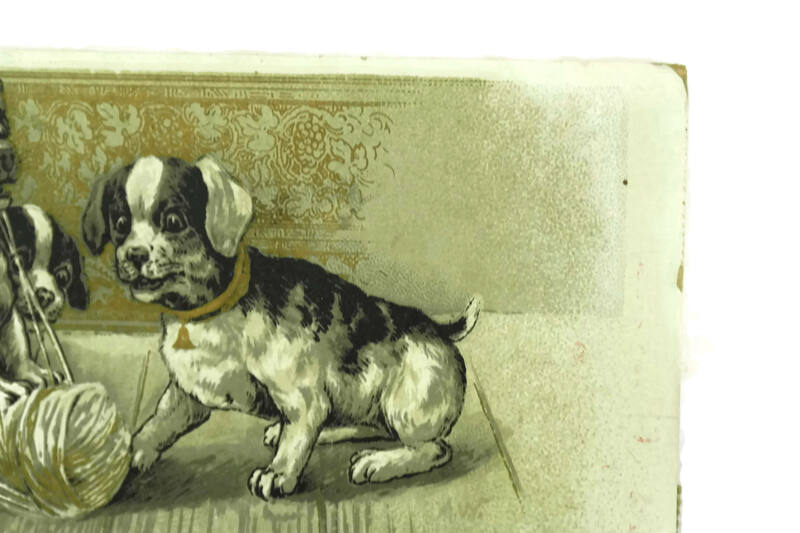 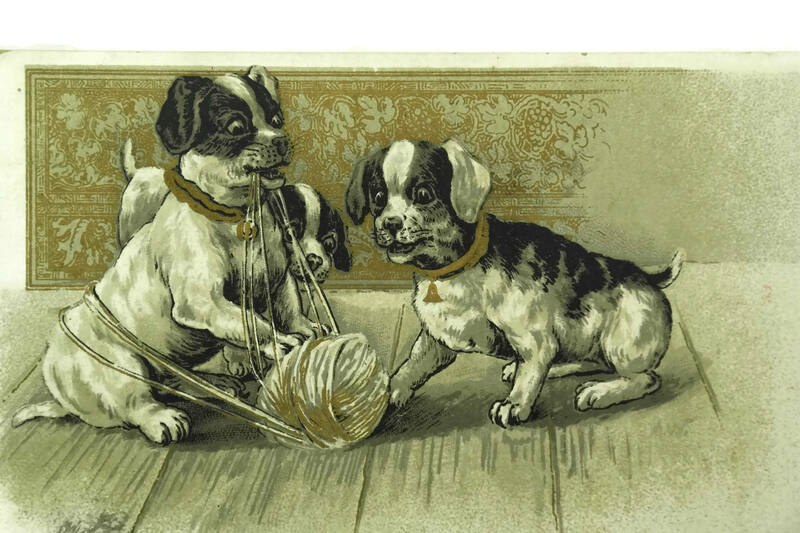 An antique French puppy dog postcard dating to 1908. 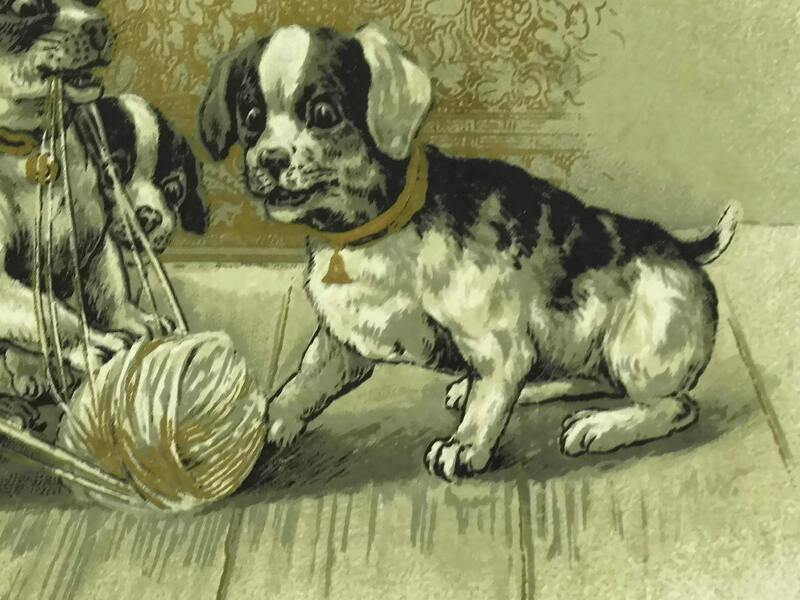 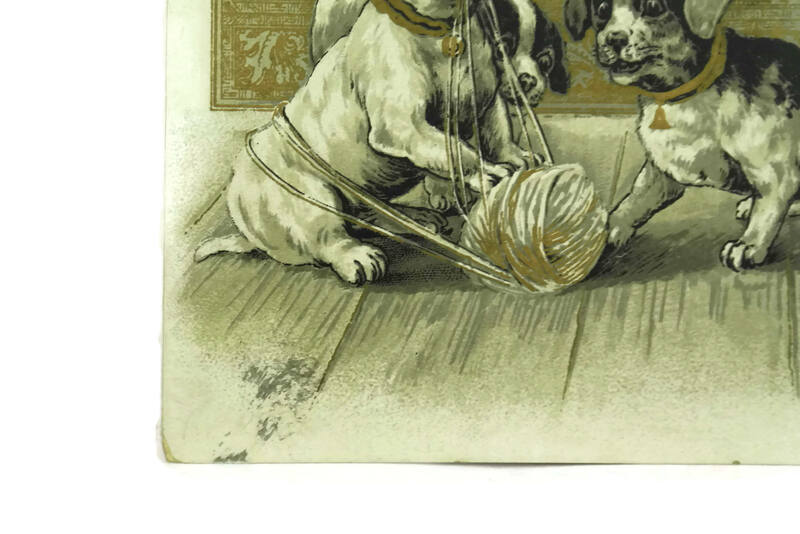 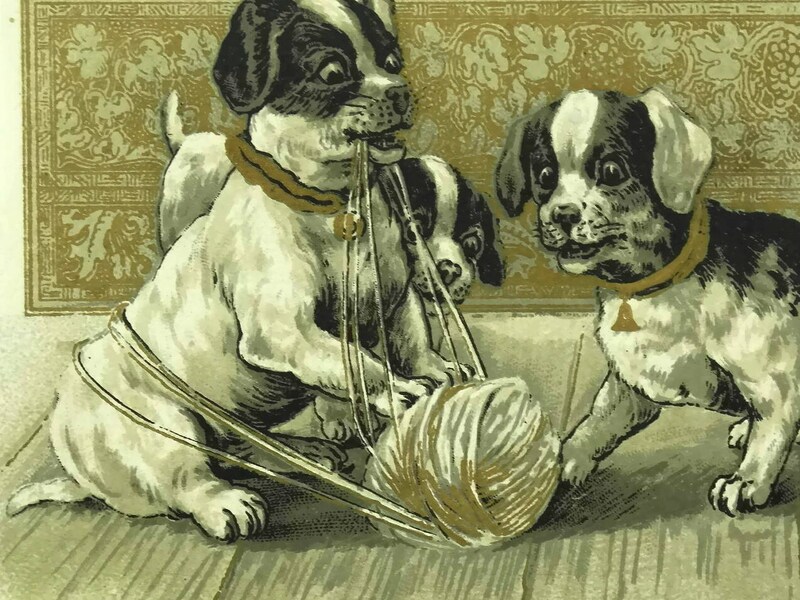 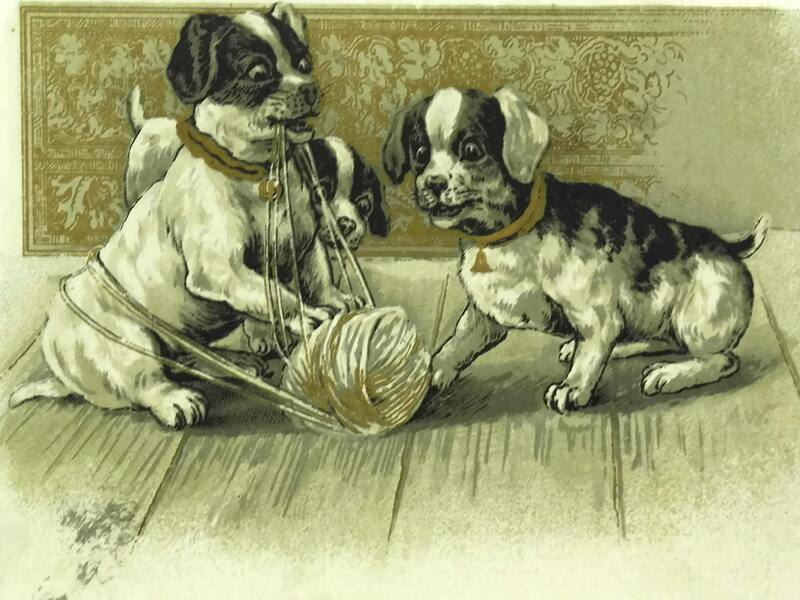 It has been illustrated with a charming art print of 3 puppies playing with a ball of string. 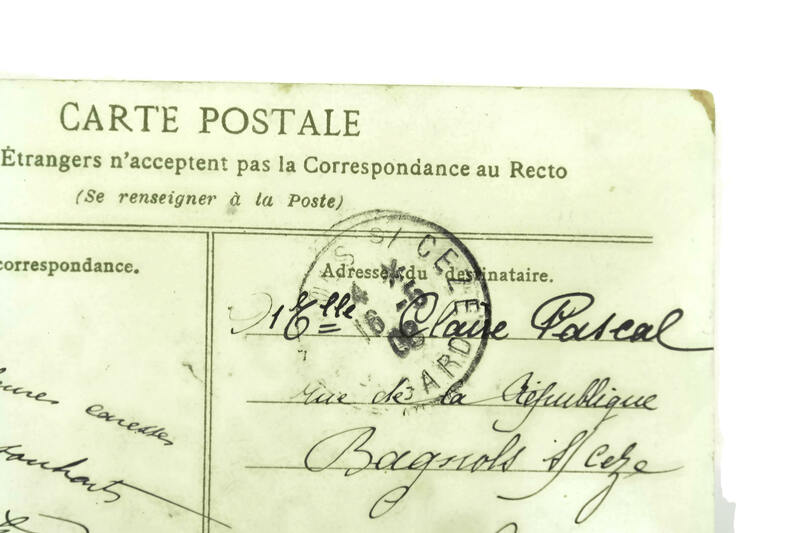 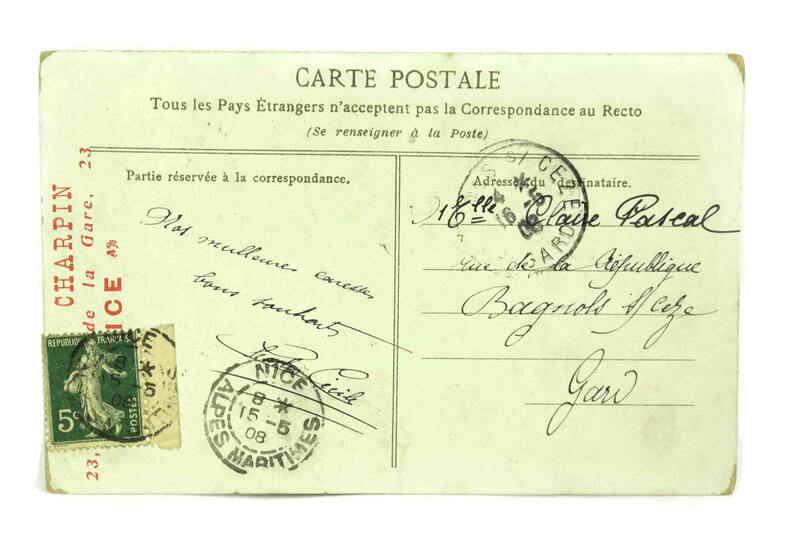 The old postcard has a hand-written message in French on the reverse side. 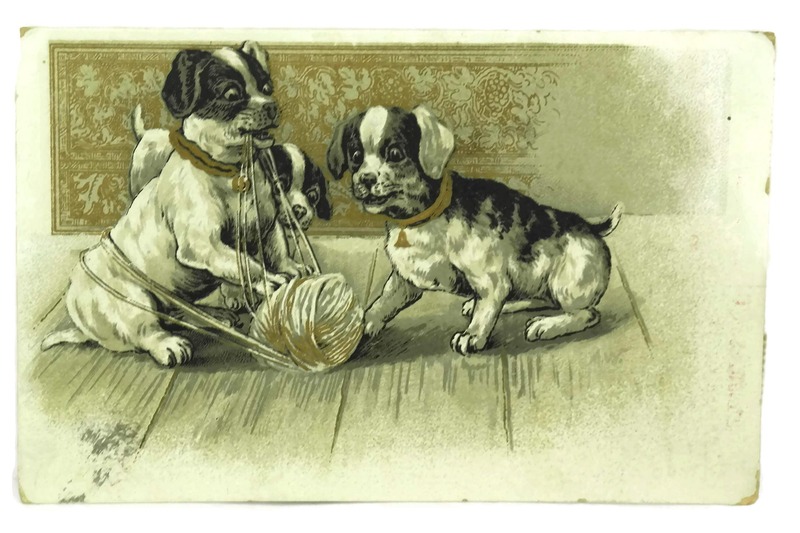 3 1/2" x 5 1/3"
(9 cm x 13,5 cm). 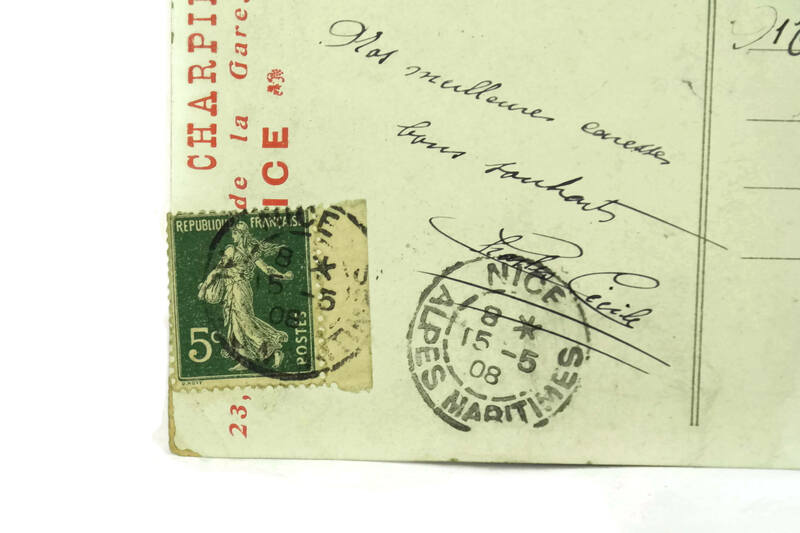 The antique postcard is in good condition with some signs of age including marks and wear to the paper and corners.